In effort to lose weight and maintain portion control, I've switched over to frozen food for lunch and dinner. Although some are high in sodium, it beats the Chinese food or Italian sub with cheese and who can forget the bag of kettle chips. caught my attention. The packaging claims 100% all natural with no artificial ingredients, no preservatives and minimally processed. Price didn't come cheap at $ 4.99 at the local Shaw's. Luckily it was on sale for $ 3.99 and there was a coupon on the box for $1.00 off. Ultimately it end up costing a dollar more than what I usually pay for my regular frozen entrees. I also go the Pineapple black pepper beef and Lemongrass Salmon that I'm excited to try. 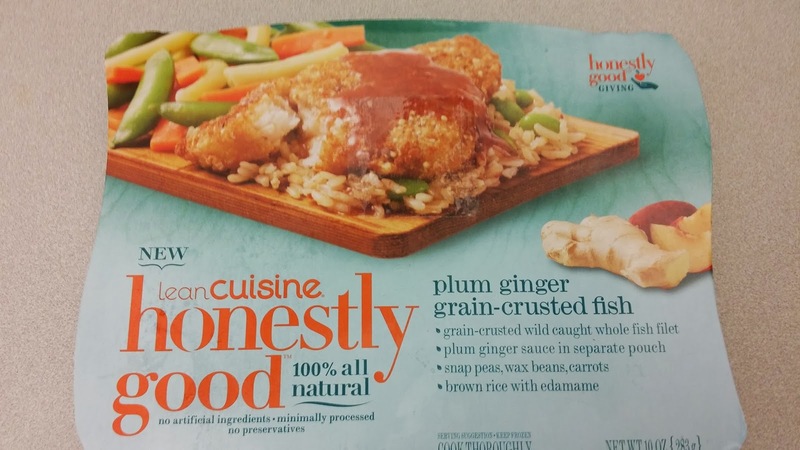 Despite the premium price, this fish dish is my new favorite frozen entree meal. The "upscale" packaging is a step up from the usual small black plastic trays found in the other Lean Cuisine lines and SmartOnes. 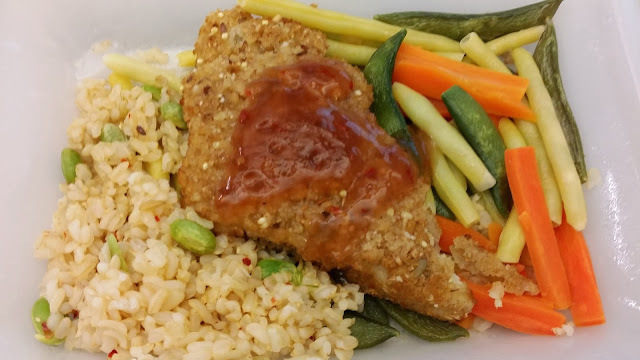 The raw fish is frozen along with the rice and vegetables and a package of plum ginger sauce is provided. The directions were easy to follow but it was a little bit of work: Thaw the sauce, microwave for a couple of minutes, pour sauce over the fish and microwave for a couple of of more minutes and set aside to vent. I was actually excited to eat this meal. With the exception of a few snap peas, the dish was not overcooked. The fish did not taste like rubber. It was well presented and the ranging colors from the vegetables and rice made it even more appealing. My coworkers actually commented that something smelled good, it was my meal! Not the typical gross microwave fish smell.